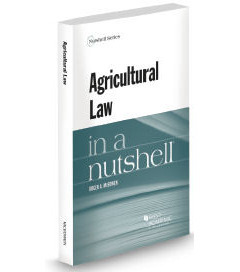 The Nutshell covers the general principles of law for ease of class discussion and provides a balance of textual explanation with case citations. Available for purchase as a softbound volume or as an ebook from the West Academic online store or by contacting Scott Duckson at scott.duckson@westacademic.com / (800) 782-1272. Law Professors may request a complimentary review copy by contacting their West Academic Publishing Account Manager at accountmanager@westacademic.com or (800) 313-9378.